Why is this topic important now? The conditions in healthcare today may be compared to the movie, The Perfect Storm. In the healthcare industry at the beginning of the 21st century, an aging population, increased health care costs, Medicare uncertainties and burgeoning insurance premiums collide with worries about physical, mental and financial health. 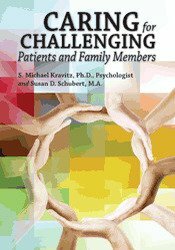 This comprehensive book builds skills to professionally and skillfully serve stressed-out patients and families while maintaining your own strength and capacity. Healthcare providers including but not limited to nurses, physicians and allied medical professionals who work at outpatient, inpatient facilities, emergency rooms as well as in-home care; and educators including in-house trainers, instructors and professors. Dr. Kravitz is a speaker, author, and educator. He provides practical, positive tools for building communication skills, overcoming negativity, dealing with difficult patients, customers, and associates, as well as raising emotional intelligence in the workplace. His keynote speeches and training programs are known for their high content level and humor. He is an adjunct professor at Franklin University and author of the Crisp Series books Managing Negative People and Emotional Intelligence Works. He received a B.S. in Education as well as an M.A. and Ph.D. in Psychology from The Ohio State University. 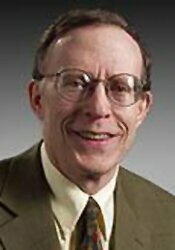 Dr. Kravitz has been an instructor for PESI Healthcare conducting programs for healthcare professionals as well as the Mandel School of Advanced Social Sciences at Case Western Reserve University. He conducted a program on dealing with difficult patients for Hadassah Hospital in Israel. Susan Schubert builds group harmony through teamwork and diversity, solving problems, and increasing leadership skills. Schubert is a facilitator and trainer with a B.A. in English from Hofstra University and an M.A. in Public Administration and Community Leadership from Central Michigan University. She is co-author of the Crisp Series books Managing Upward and Emotional Intelligence Works. Susan is an adjunct professor with the Graduate School USA conducting courses on internal consulting for United States Government Agencies throughout the U.S.